Cold Sores are a pain and unfortunately I have the tendency to get them quite often. Today I’m sharing how to prevent cold sores. This is a home remedy that really works, especially when you do it in the first stage of a cold sore. You know what they say… It is better to prevent than to cure! 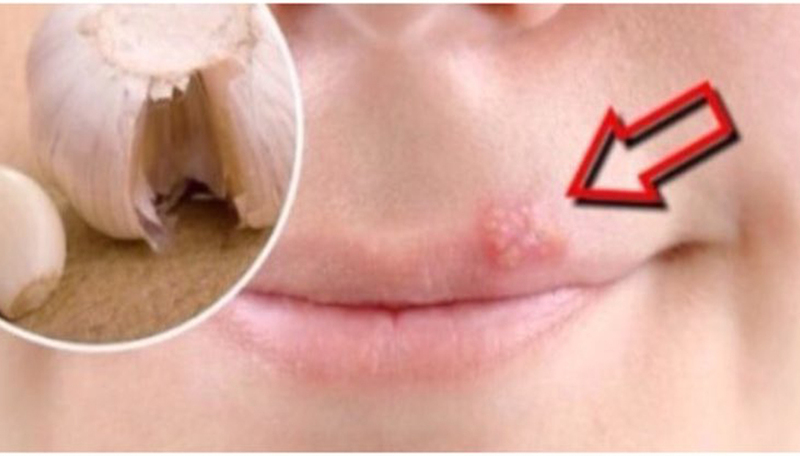 If you are afraid of cold sores … Do this! In order to prevent a cold sore you need to treat it in the first stage. This is when you start getting that tingling, itching, burning feeling beneath the skin of your lips. I hate that feeling because I know what’s coming next! To avoid the cold sore do this! Peel a fresh garlic clove and cut it in half! Place one half of the garlic right on top of the area where you feel the beginning of a cold sore forming. Make sure that the side that was cut is touching your lip. You want the garlic juice to rub on the affected area. Do this for about 10 to 15 seconds and let it dry. Repeat the previous step a few hours later. I’m not going to lie, the garlic will make a bit of a burning sensation in your lip and it doesn’t smell the best BUT it works! The cold sore won’t pop in your lip…It is as easy as 1, 2, 3! Here are some other Homemade Hacks that I love!